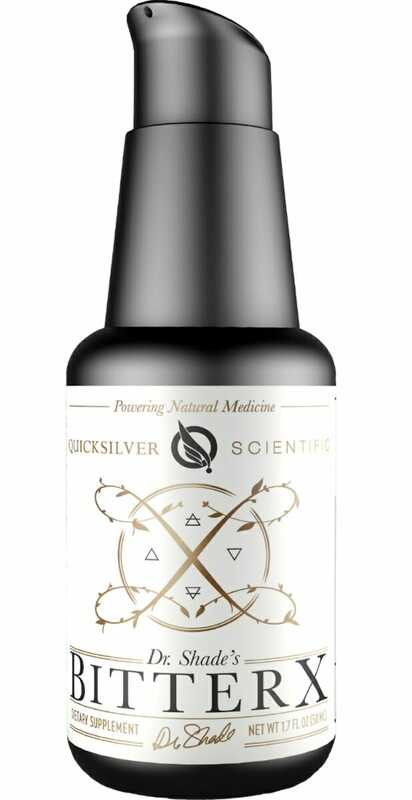 Dr. Shade’s BitterX from Quicksilver Scientific is a synergistic blend of four bitter herbal extracts – dandelion, gentian root, solidago, and myrrh – crafted to provide holistic nutritional support. 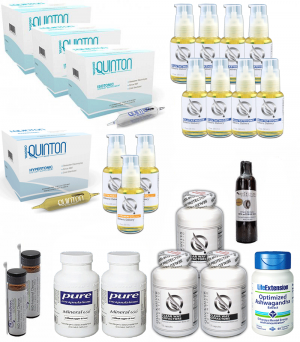 Liposomal delivery ensures superior bioavailability. Bitter herbs have long been a staple in traditional healing practices throughout the world. Modern studies have determined that these herbs do indeed possess exceptional nutrient density which gives them their bitter flavor. 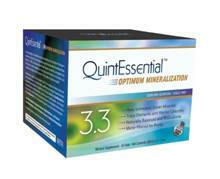 This synergistic blend of four bitter herbal extracts – dandelion, gentian root, solidago, and myrrh – is carefully crafted to provide holistic nutritional support of bodily health. Bitters are a classification of herb which, true to the name, possess a bitter flavor. This flavor, while often undesirable in cooking, is indicative of immense nutrient density. Bitter herbs have primarily been used for support of digestive health, but their benefits run much deeper. For this reason, it has become popular to incorporate bitter herbs into the diet via supplemental extracts and tinctures which pack all the nutrient content of bitter herbs while minimizing their unpleasant flavor. Dr. Shade’s BitterX contains a carefully selected blend of 4 powerhouse bitter herbs: Dandelion, Gentian root, Solidago, and Myrrh. Bitters are known for being supportive of digestive health, but each of these herbs bring their own unique nutritional benefits to the table. Gentian is one of the most renowned and well studied bitters. It is thought to be supportive of cephalic responses via the sympathetic system, increasing peripheral vascular resistance and other areas of cardiovascular health. Dandelion is included for its hepatoprotective, renal, and bile flow support properties. Solidago is an herb which has long been used to support diuresis (the increased outflow of urine) which can be helpful for urinary health complications, as well as detoxification processes. This potent formula also includes the oleo gum resin of myrrh which is thought to support bile flow and microbial balancing qualities. Spray 2 pumps directly into the mouth twice daily. Take on an empty stomach, at least 10 minutes before meal.